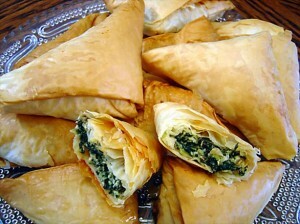 While Spanakopita is often regarded as a standard pastry, they are essentially the equivalent to pies in Greece. Spanakoptia are small (often triangular) pies filled with spinach, onions, cheese, scallions, eggs and all kinds of seasoning. This is all wrapped up in filo pastry and pan fried . The Moroccan Bisteeya is essentially a giant ball of pie, layered with eggs, chicken, almonds, garlic, ginger, turmeric and more. It’s usually too much for one person, so give a try with your friends or family next time. The key ingredient to Key Lime Pie is, you guessed it, key limes. These limes grow only in the Florida Keys region and are considered more tart than standard limes. 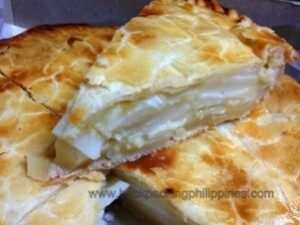 Buko pie is a Filipino delicacy, popular for snacks and desserts. It’s made with coconut meat, coconut milk, sugar and cornstarch. A Chinese meet pie is a thin medallion-sized pastry. 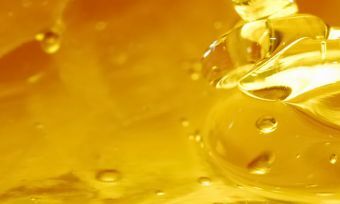 It uses thin pastry and can be filled with anything. These pies are usually had as side dishes or snacks. 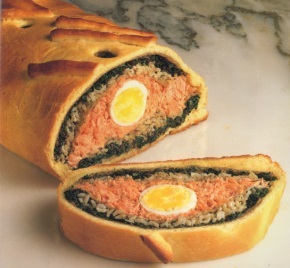 A coulibac is a dish that includes fish, rice and onions wrapped and baked in brioche or puff pastry. These pies have been a part of Russian culture for years, and remain a popular treat today. These pies are prism or semi-circular shaped pastries jam-packed with meat and vegetables. 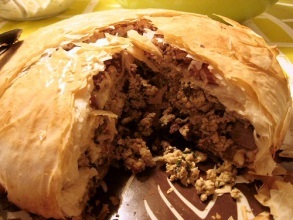 The ingredients could include anything, but traditional pies will usually be made with carrot, potato and meat. These are very similar to Nigerian meat pies, except they’re small and spicier. They are filled with beef, chicken or pork and are generally had as a mid-morning snack. So what do we like about pies? According to our most recent survey of 2,500 New Zealanders, both savoury and fruit pies tickle our tastebuds, and it seems that we value quality, with taste and texture the two most important drivers of satisfaction. You can find out more about Kiwi pie-eating habits here.